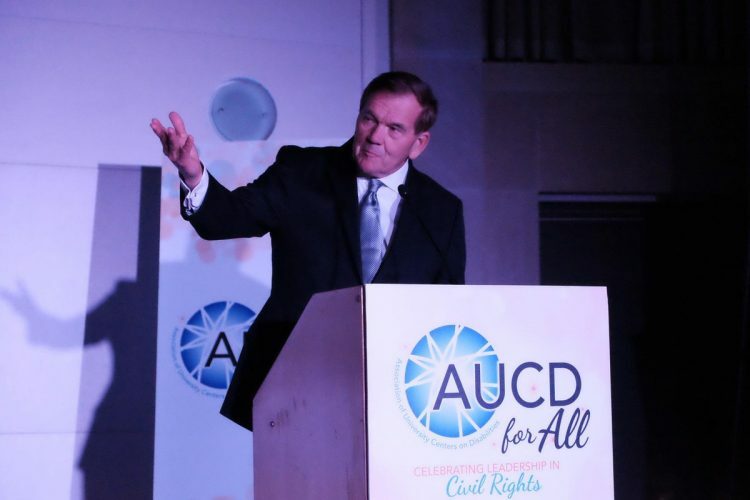 Washington, D.C. – (March 20, 2019) – The Association of University Centers on Disabilities (AUCD) last night honored National Organization on Disability (NOD) Chairman Tom Ridge, the first U.S. Secretary of Homeland Security and 43rd Governor of Pennsylvania, with the AUCD Leadership for All Award. Governor Ridge was honored for his many years of leadership in civil rights and honorable service on behalf of the disability community – most notably his work with NOD to raise the issue of disability employment and to find opportunities for the 20 million Americans with disabilities who are ready to work. Claudia Gordon, a former colleague at the U.S. Department of Homeland Security and herself a noted advocate for people with disabilities, presented Governor Ridge with the leadership award at AUCD’s annual celebration, which brings together leaders from all sectors who are tireless advocates for disability rights and social justice for all. Gov. 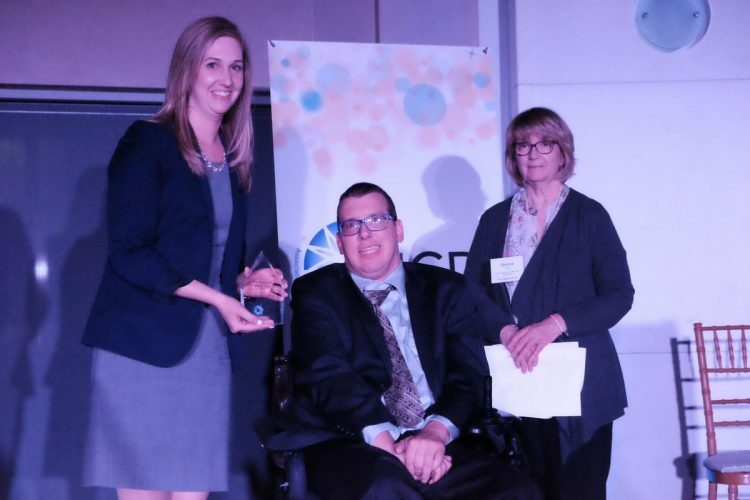 Ridge last week received the National Leadership Award from the American Association of People with Disabilities (AAPD). Gov. Ridge became the NOD Chairman soon after his appointment by President George W. Bush as Homeland Security Advisor in 2006. Under his leadership as U.S. Secretary of the Department of Homeland Security, DHS implemented an impactful program to hire people with disabilities. He also partnered with NOD’s Emergency Preparedness Initiative for the first-ever conference on Emergency Preparedness for Individuals with Disabilities. For more than a decade as NOD Chairman, the organization has adopted a strategic focus on training corporations and organizations to help hire people with disabilities in our country today. Most recently, Governor Ridge led the charge to launch Look Closer, a national awareness campaign by NOD to encourage hiring managers to consider this diverse, capable, and largely untapped talent pool and put more Americans with disabilities to work. He also has convened a group of twelve disability organizations from across the country, including AAPD and AUCD, to focus attention on the critical issue of employment for people with disabilities. Association of University Centers on Disabilities leaders Jack Brandt and Donna Gilles from the Virginia Commonwealth University Partnership for People with Disabilities. “I am truly honored to receive this award and accept it on behalf of the 57 million Americans with disabilities,” said Governor Ridge. 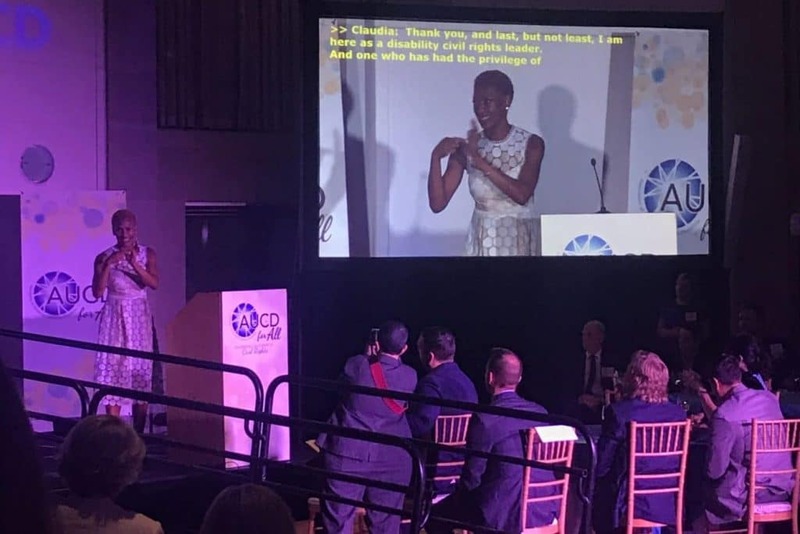 “I was so pleased that this year’s theme for AUCD’s gala was ‘Celebrating Leadership in Civil Rights’. The core civil rights vision of the ADA and other disability rights laws inform the approach we take to improving the lives of children and adults with disabilities. “For the 25th anniversary of the ADA civil rights legislation, I had the good fortune and privilege to sit with and interview one of my heroes, and the man whose signature is forever affixed to that legislation. President George H.W. Bush told me on that day from his office in Houston, that among all his many remarkable accomplishments as president, working in bipartisan fashion to pass the ADA was perhaps his proudest moment. Think of that. That’s quite a statement considering all he was able to achieve from his years in the White House. “Over the last few months, I’ve had the privilege to meet with many of the largest, most politically influential and most effective disability organizations in America today. We’ve put aside our disparate agendas and individual priorities and found common cause. We recognize that collectively, we represent a powerful political constituency numbering in the scores of millions of people. And we’re using that power to talk to others in power, especially the appointed and elected officials here in Washington that we put there to work for us.